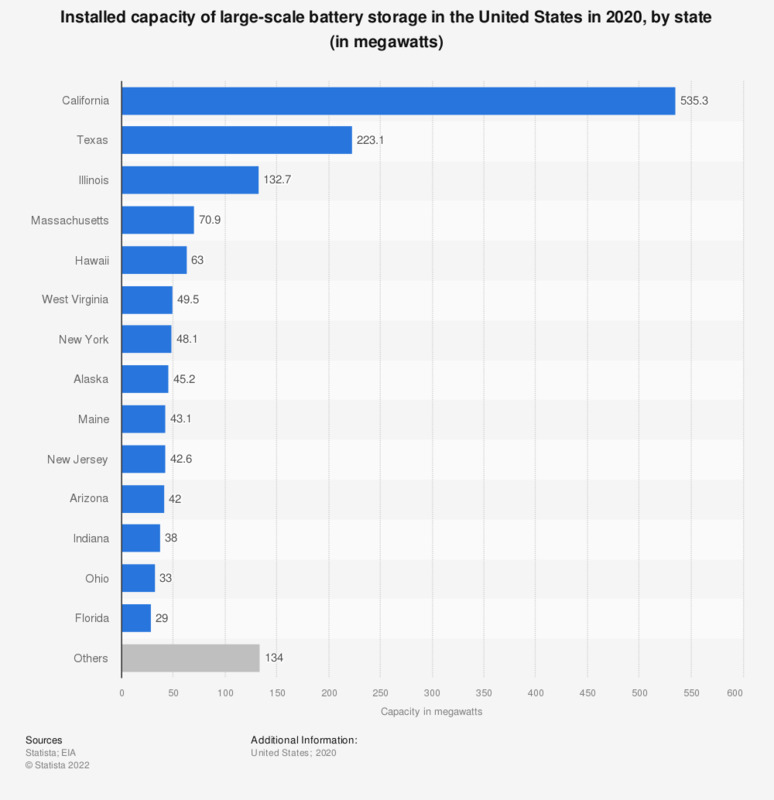 This statistic displays the installed capacity of battery storage in the United States in 2017, by leading state. As of that year, there was about 161.5 megawatts of battery storage capacity installed in California. If you installed a photovoltaic system, would you invest on a system of batteries coupled with solar panels in order to store energy?